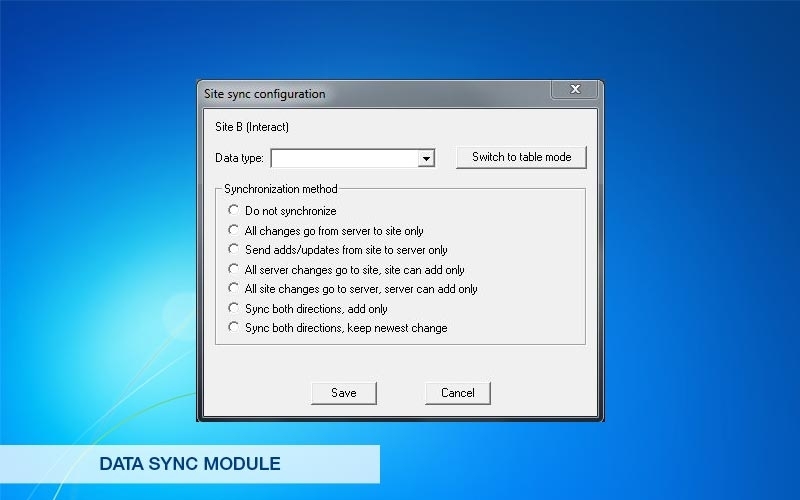 The DataSync Module is ideal for companies using Interact® at multiple sites. This module provides synchronization of data from remote locations to the central ofﬁce – eliminating the need to double enter data between Interact sites. This module allows you to capture and store images with each scale transaction. AWS supplies a full line of camera systems, network video recorders, mounting poles, and industrial intercom systems. This module is an option when your customer requires a signature from their driver for the load being hauled. Recalling a ticket for proof of signature the traditional way can take hours as you filter through boxes and boxes of tickets. 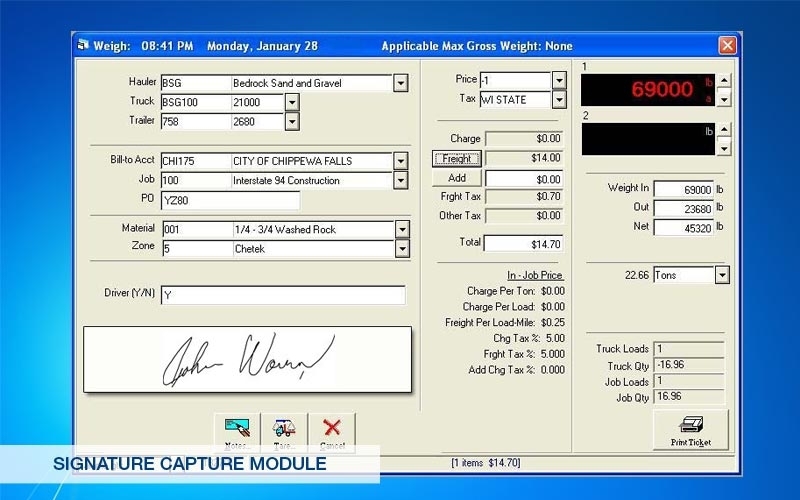 With the Signature Capture Module, an electronic signature can be recalled and reprinted in a fraction of the time it would take to manually search through hundreds or even thousands of tickets. 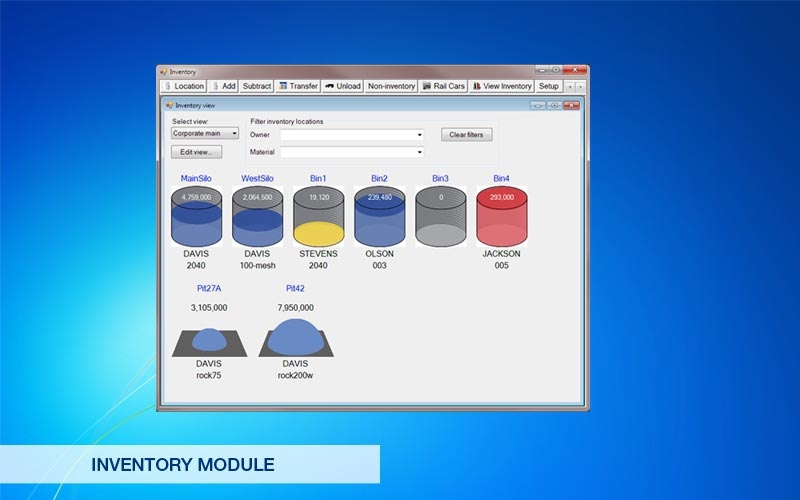 The Inventory Module is ideal for companies looking to track product inventory levels. This module will track inventory at a single location or across multiple sites. 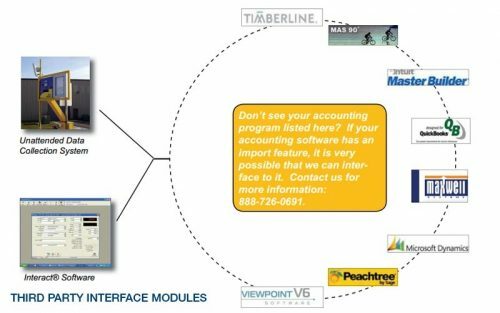 For those customers that already have an accounting software program that they are accustomed to using, it does not make sense for Interact to perform these tasks for them. Instead, why not have Interact export the scale transactions to your accounting software? Interact also has the ability to import data from many accounting software packages, further streamlining operations. 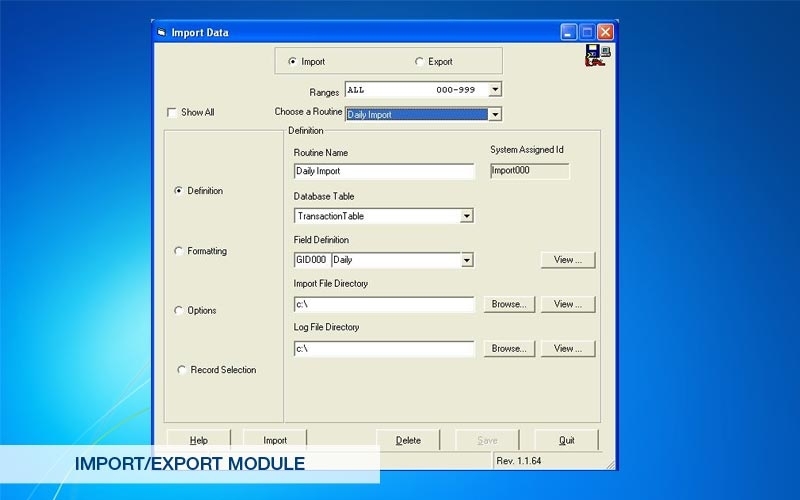 The Import/Export Module is ideal for companies using Interact® on multiple PCs and they need the ability to add or modify database tables (truck, job or material) at other sites. 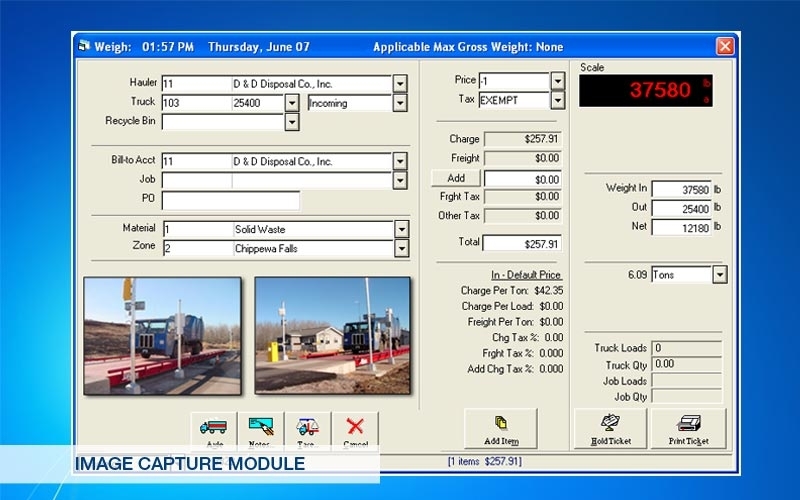 This is very useful when the main scale PC is too busy being used to weigh trucks and it is more efficient for other staff members to make changes. Quite often, dispatch personnel, as well as the accounting staff, require the ability to add/modify/delete these tables, therefore requiring the Full Import/Export Module.